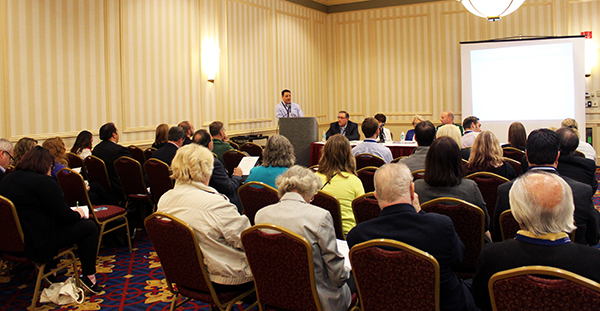 A few years ago we presented a panel discussion at the Great New England Credit Union Show to provide valuable insight on ways to help credit unions significantly improve employee performance. The title of our presentation was “The 6 Essential Components to Increasing Employee Productivity and Performance.” The following is a brief summary of each of the 6 essential components. Please contact us if you would like more information on how our training programs can help empower your team to improve their performance. Developing highly successful teams does not happen by chance. In fact, it takes hard work and a detailed plan of action. If your organization does not currently utilize all of these essential components that’s okay, I would just look into ways to start effectively integrating them into the organization. Providing exceptional service is the foundation to establishing and cultivating meaningful relationships. Ensuring our team is delivering world-class service needs to be our number one priority if we want to make a lasting positive impression with new and current members. Remember, service is what keeps our members coming back for additional business, and if we are falling short we will have difficulty attracting new members and retaining current ones. We cannot take for granted that our employees have professional etiquette and inter-relationship building skills. It takes specialized training and practice to gain proficiency in delivering distinguished service. Our members come to us with one of the most important aspects of their lives, their personal and business finances, and it is essential that our members trust and respect the individuals servicing them. If they perceive for a moment that our staff are unprofessional and lack appropriate hospitality and etiquette they will certainly not trust and respect them. Consequently, they will take their business elsewhere. The fastest way to gain the trust of a member is through providing an incredible experience where the member connects with the employee and the interaction is as personal as possible. Traits such as: empathy, patience, humility, compassion and the desire to provide individualized personal care are incredibly important to building and cultivating meaningful relationships. “Sell” is a dirty four-letter word to most credit union staff. They have negative preconceived stereotypes of sales people and they do not want to be viewed as such. As a result, they are very reluctant to “sell” products to members. The thought of “selling” to members can create many self-imposed obstacles to those working directly with members whether in-person or over the telephone. It is critically important that we re-educate our staff and that they understand that they don’t have to “sell”, they just need to recommend and refer products and services as a trusted advisor. Our members rely on our expertise to help educate and recommend appropriate solutions to help them with their banking. If we elect not to take a proactive needs-based approach to identify and offer solutions we are definitely providing a disservice to our members. We should never advocate just blindly offering products to members. Taking a “sales” approach by blindly offering products/services can leave members feeling undervalued and unimportant. Instead, we need to focus on building relationships and referring based on the member’s particular needs. Once employees genuinely understand why referring is important and how it can benefit them, they will be more likely to adopt and form new habits. Adopting a referral approach to sales becomes easier once you have established the level of trust mentioned in the first essential component. Once you have earned the trust of your members they give you the benefit of the doubt. That is a gift that you must treat seriously through asking open-ended questions to best identify the perfect product/service for that member. A referral approach leaves no doubt in a member’s mind that you truly care about his/her best interest through the care and time you take pairing up products with specific needs. Coaching is vital to developing your team and I always recommend taking a collaborative approach. Managers need to work together with employees and encourage them to take personal responsibility for their own professional development. Managers and employees should meet frequently to discuss their goals and relative performance in reaching those goals. We are only going to be as successful as our teams. So you need to have a vested interest in mentoring and setting your team up for the best chances for success. Actively coaching employees for maximum performance is going to help you build a highly successful team. You will get the most out of your staff when they know that you are vested in their professional development. As the saying goes, “people don’t care how much you know, until they know how much you care.” Accordingly to a Gallup survey poll of a million employees across multiple industries, the key motivator to job satisfaction occurs when an employee feels supported and valued by his/her manager. Employees will become loyal to the organization and always do more than is expected when they feel appreciated by their supervisor. That is why it is imperative that you take the time to sit down with employees, one-on-one, to coach them in challenge areas, congratulate them when they succeed and to let them know that they have your support. Furthermore, when you take the time to coach your staff, it allows you the opportunity to get to know them better, build/increase strong professional bonds of mutual respect, instill trust and boost their enthusiasm and personal drive to succeed. When there are clear expectations present and staff members feel supported by their manager, the sky is the limit for future success! Product referral campaigns are the cornerstone to increasing employee cross-selling productivity. It is my experience that employees do exponentially better when they can focus on just referring one product at a time. Many employees will tell us that they feel extremely overwhelmed when they feel pressured by multiple product and service goals every day. Allowing the employees to focus on one specific product monthly can have tremendous benefits. First, it provides a great opportunity to enhance their product knowledge. When we focus on one particular product for the month, we really begin to build a solid understanding and become an expert on it. This solid product knowledge helps build employee self-confidence and when they are confident about something they are much more likely to recommend it to the members. Employees will typically only offer product and services that they are familiar and comfortable with, so the more comfortable they feel about a product the more confident they are going to be in their delivery. Consequently, the more successful referrals they are going to make. Another benefit is that the credit union can develop a specific marketing campaign to support the monthly referral campaign. This will help create some buzz and excitement surrounding the product or service being offered. If done correctly, members will be helping by coming in and asking about the product or service. The referral campaigns can also help create some friendly inter-departmental competition which will help drive additional productivity. When the entire organization is committed and focused on referring one product each month you will see a significant boost in successful product referrals. Setting individual and organizational goals is critical to the growth of any credit union. All goals need to be aligned with the over-arching organizational goals. Every employee should have a clear understanding of what the goals are and why they are important. This helps reinforce individual expectations and motivation to achieve the goals. As managers, if we fail to plan, we plan to fail. Everyone in the credit union should have clear goals and expectations with respect to helping achieve the organization objectives. Remember, we cannot manage what we cannot measure. That’s why it is imperative to set clear attainable goals and continually measure progress toward reaching those goals. We need to communicate daily with our team so they understand where they are in relationship to reaching their individual and team goals. Top of Mind Awareness (TOMA) is key. We need to ensure that all employees are thinking about their goals daily. Everyone needs to understand that achieving the goals is the number one priority. Closely monitoring progress toward a goal also allows us to quickly make any necessary changes to get us back on track. Using SMART goals will provide the credit union with a structured plan and action steps on how to achieve the goals. When we set goals for our team, it outlines clear expectations and provides accountability. When the team knows exactly what is expected of them and how their progress will be tracked, it mitigates any confusion and allows them to focus on the act of referring relevant products and services to their members. Setting clear goals and tracking performance also provides structure for our staff to make it as easy as possible to take larger overarching goals and break them down into more manageable weekly or daily goals. Setting clear goals and tracking our progress allows staff to better strategize, which leads to increased organizational performance. Motivating staff can be challenging; keeping staff consistently motivated is extremely difficult. However, if done effectively, it can be really fun and rewarding for everyone. There are numerous factors that impact employee motivation. However, endless studies have proven that happy employees who enjoy what they do are much more productive. Motivating staff and rewarding success boosts morale and reduces turnover. People don’t leave organizations where they feel appreciated and that their opinions matter. Taking the time to be creative in order to motivate and reward staff will pay off greatly in the long run. For example, some credit unions provide monetary incentive plans to help keep employees motivated to refer products and services. Others provide ongoing specialized training to enhance their skills and provide them with the tools to accomplish their goals, when that happens, employees are much more self-motivated and their production and commitment level is heightened dramatically. Another way is to simply focus on creating a fun work environment and encourage individual and team recognition for a job well done. Employees will be inspired to continue to work hard if they receive support and praise from their supervisors and peers. Remember, success breeds success, and the more we love our work the less likely we are to leave. FrontLine Service Solutions, Inc. can help you integrate these 6 essential components into your credit union. Contact us today to find out how we can help your organization dramatically increase employee performance. What is Quality Banking Sales and Service Training?